QTY 123456789101112131415161718192021222324252627282930313233343536373839 Please select a quantity. Lay out a gourmet cheese spread anywhere you go with this portable cheese board and accessory kit. 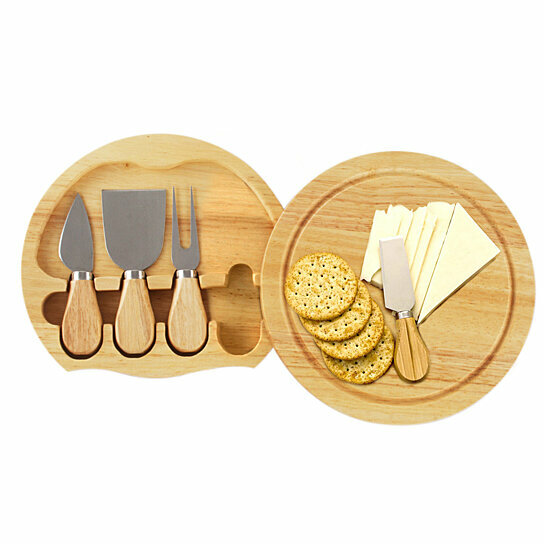 The circular cheese board doubles as a portable case which carries the matching tools and accessories.